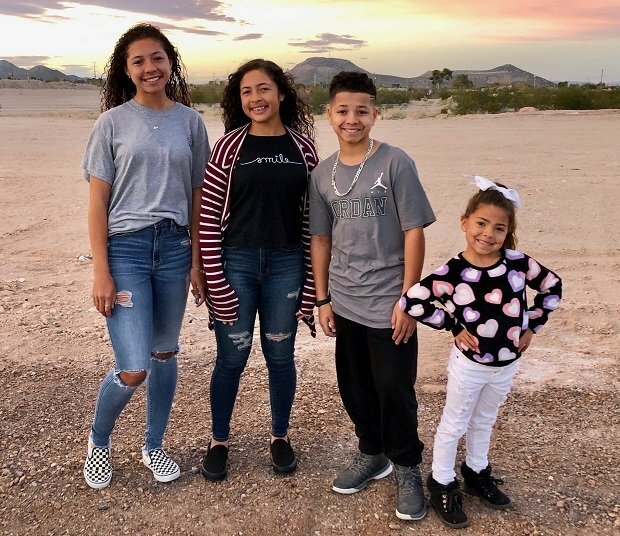 Kambria Cash has been playing soccer since she was 3 and is excelling on the pitch at Sahuarita High School, leading the team in goals during her sophomore season. Since picking up soccer when she was 3, Kambria Cash has always been a scorer. That's been evident the first two years of her high school career at Sahuarita (Ariz.). She tallied identical 24-goal, eight-assist totals as a freshman and sophomore. Cash is already second all-time in points, with 112, in Sahuarita girls' soccer program history. The forward/outside midfielder is deadly when she is around the goal. "It almost comes just second nature to me," Cash said. "I've been doing it for so long; it's my favorite thing to do. The feeling when you're right in front of the net and you know what's going to come after you shoot the ball and it hits the back of the net. Then your team celebrates, it's just a really good feeling." 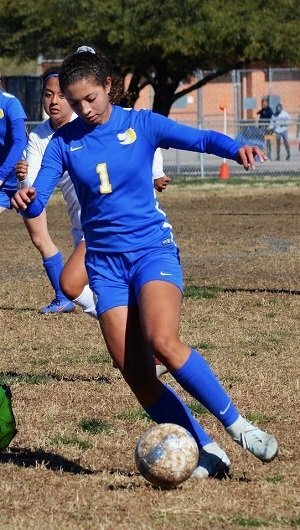 Cash, who was the Maxinmotion Arizona Soccer Association January Player of the Month, has been Sahuarita girls' soccer coach Roberto Franzone's main scoring option for the last two years. He said Cash is a good scorer because of her ability to finish. "I find her to be a striker," Franzone said. "If she has the ball, she's the last one up so nine times out of 10 she'll go for a goal. That's what you want a striker to do." Even though her numbers were exactly the same her freshman to sophomore seasons, Cash knows her game improved greatly in her second year. Her confidence rose and in turn she became a better leader, communicating more vocally with her teammates. "She's definitely a game-changer," Franzone said. "She's strong, physical, explosive. If you tell her to go out there and change the flow of the game, she can post a couple goals really quickly or just change the dynamic of the game." Speaking of scoring goals quickly, Cash can do that because of her phenomenal speed on and off the ball. "One of my favorite things to do in a game is to take people one-on-one, so I'll use my speed to my advantage," Cash said. "I get a lot of through balls where I just outrun everybody." scoring 24 goals this season. Said Franzone: "I think her most useful trait is that she has a willingness to get the ball no matter what the size of the defender is. A lot of coaches will put their stronger defenders on their center backs but she doesn't back down. She goes until she wins the ball." Cash had a rough start to her sophomore campaign, pulling a hamstring in the opening game. She was dominating the first 15 to 20 minutes, demanding double and triple teams from the opposing team, before she got hurt. Despite being sidelined and missing five games, Cash didn't miss a practice and came to every game, hanging out by the coaching staff and providing direction and rooting for her teammates. 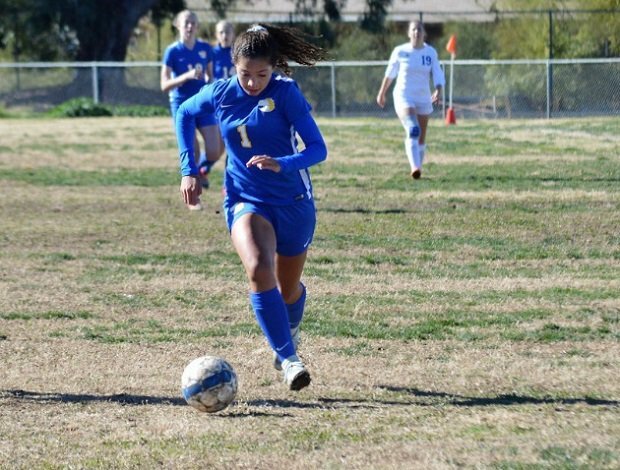 After missing out on playoffs in her freshman season, Cash helped guide Sahuarita to the postseason this past year. Cash netted a pair of goals in a playoff play-in game. The Mustangs (19-4-2) got all the way to the AIA 3A state quarterfinals before their season came to an end. "Next year I have a goal of at least making it to the semifinals," Cash said. "Winning state would be amazing. I need to do a lot of offseason work, pushing my team to get better and having practices during the summer before the season starts." Cash, 16, has upped her high school play by competing for RSL-AZ Southern Arizona Soccer Club. She's the youngest player on the team but one of its top scorers. "I'm able to apply the things I learn at club in high school ball," Cash said. "In high school ball is where I perfect my skills." Cash plays soccer year-round and believes she's going to give up volleyball next fall to concentrate on her main sport. It's her goal to play soccer collegiately and she's hoping a strong club season will stir up interest from colleges. If Cash continues her solid play on the field in the next two years, Franzone believes she is a Division I talent. "I think it's a no-brainer if she keeps that passion going, which I think she will because it's been growing for the last couple of years," Franzone said. In the classroom, Cash also excels. Even with two honors courses as a sophomore, she has a 4.25 grade point average. School has always been important in her life. As the daughter of a military member, Cash has always led a straight-laced childhood. Her dad is a safety manager in the Air Force, so Cash had to move around with her family. She has lived in five different states already. "Having the military influence definitely — it makes me a good kid," Cash joked. "She's a very good kid, very respectful," Franzone said. "It's good to see kids that are outgoing these days because some of them hide behind cellphones, and socially things have changed." Cash enjoys helping out her local community and a big way she does that is by volunteering as a referee for soccer matches. Cash, who recently became a certified referee, works games for USA Youth Sports for kids between the ages of 5 and 11. During the season, Cash usually has two games on Friday nights and two to three on Saturday mornings. It's a busy schedule. "I really like it," Cash said. "I feel like I'm really giving back, considering the club that I locally ref for is the club I played for when I first moved here in second grade. It feels good to be able to go back and help and see the next generation of kids each year." Cash is a great student, carrying a 4.25 GPA and volunteers her time refereeing for youth soccer among other things.